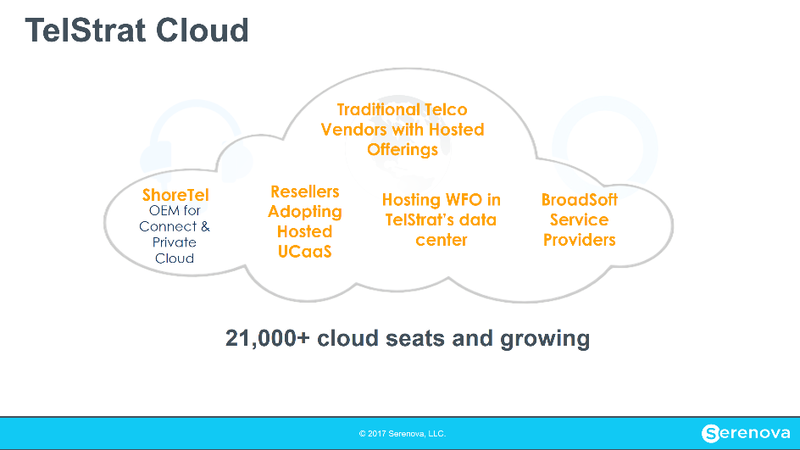 Acquires TelStrat, fulfills goal of adding workforce optimization to its cloud contact center lineup. Serenova today announced it has acquired TelStrat, which offers a workforce optimization (WFO) suite. This is the company's first acquisition since being carved out of the LiveOps business, taken private, and rebranded from LiveOps Cloud to Serenova. As a refresher, LiveOps separated its LiveOps Cloud platform from a companion LiveOps business process outsourcing business in 2015. LiveOps Cloud was subsequently taken private by Marlin Equity Partners. One year ago, LiveOps Cloud changed its name to Serenova, and two months ago Tom Schollmeyer joined the company as CEO. TelStrat, a privately held company headquartered in Dallas, was founded in 1993. It started building a call recording product in 2001, and since then has added quality management and analytics solutions. It has been partnering with Teleopti (already a Serenova partner) for workforce management. Serenova did not disclose financial terms of the acquisition. The TelStrat purchase fulfills a Serenova goal articulated early on by then-CTO, Jeff Thompson, who is now chief strategy officer. The goal has been to expand the capabilities of Serenova's contact center-as-a-service (CCaaS) solution by tightly integrating WFO elements. With the high attach rate of call recording in CCaaS sales, Thompson referred to the newly acquired functionality as "bread and butter" capabilities in today's contact centers. Finding a good WFO candidate to acquire cannot have been an easy task for Serenova. Several similar acquisitions have been made in recent years, including: KnoahSoft by Avaya, Oaisys by Mitel, Uptivity by inContact, and Quality Software Corp. by 8x8. The same force drove NICE's 2016 acquisition of inContact: the increasing belief that companies are looking for a full contact center-WFO suite solution, especially when moving to the cloud. The string of WFO acquisitions in just a few short years has meant the number of candidate WFO companies has been shrinking year by year. 215,000 seats of its solutions in use at 750+ customers. As TelStrat has primarily been a premises-based business, that gives Serenova exposure to hundreds of future prospects for its CCaaS solution, CxEngage. While primarily a CPE business, TelStrat has begun to offer multi-instance versions of its solutions in the cloud, with about 10% of deployed seats running in one of several cloud environments today. The graphic below shows the various deployment options available. TelStrat has had a relationship with ShoreTel (recently acquired by Mitel) for several years. This pairs nicely with Serenova's existing OEM relationship with Mitel, strengthening Serenova's ties with an existing partner. Call recording has begun to move out of the contact center and into other back-office areas of a business. TelStrat has been selling its solution for those back-office use cases, a market Serenova hopes to expand into with its CCaaS solution. TelStrat brings 70+ employees, one-third of them in R&D, to Serenova. These engineers will be invaluable as Serenova works to take the intellectual property of TelStrat and bring it into the multitenant CxEngage solution deployed on the Amazon Web Services (AWS) cloud. TelStrat's "rough" attributes include the fact that its user interface needs an update -- which the Serenova team has the expertise to do. TelStrat doesn't offer a SaaS version of its software. On the plus side of this, Thompson said, building from scratch is often easier than having to unwind earlier development efforts. Part of the post-acquisition investment will go toward bringing TelStrat functionality into the AWS cloud along with the rest of CxEngage. Serenova has existing relationships for WFO with Calabrio and Verint -- and Thompson was quick to report that those will continue. Both will be alternatives for customers that prefer all WFO components from a single vendor. Finally, Serenova intends to continue support for TelStrat's many customers that have CPE implementations. Some contact centers may choose to keep WFO on premises as they move contact center infrastructure to the cloud. Others may choose to do the reverse, moving WFO to the cloud while leaving contact center on premises. Serenova intends to support both hybrid scenarios. Learn more about Contact Center & Customer Experience at Enterprise Connect 2018, March 12 to 15, in Orlando, Fla. Register now using the code NOJITTER to save an additional $200 off the Advance Rate or get a free Expo Plus pass.